Tucked away in the far north side of Chicago, Edgewater is a tight-knit neighborhood just south of Rogers Park, containing high-rise buildings, popular beaches, historic districts, and a bustling commercial center. A plethora of trendy restaurants, specialty boutique shops, and family-friendly events populate this multicultural, lakefront community. Here are some of the best things to do during your visit to Edgewater. One of the more recent additions to the Edgewater neighborhood, Independent Spirits has quickly become a favorite among locals. Whether you are looking for something to bring to a dinner party, or simply wish to add to your own personal collection, you are bound to find the perfect bottle among carefully curated fine wines and obscure liqueurs. The staff is friendly and knowledgeable, always willing to lend a hand to those unsure of the differences between scotch and bourbon. Especially helpful are their handwritten recommendations and descriptions on most of the items. In addition to their spirits, the shop also offers bartending tools and accessories. Wine enthusiasts and casual drinkers alike should check out their free wine tastings held on Fridays at 5 pm. 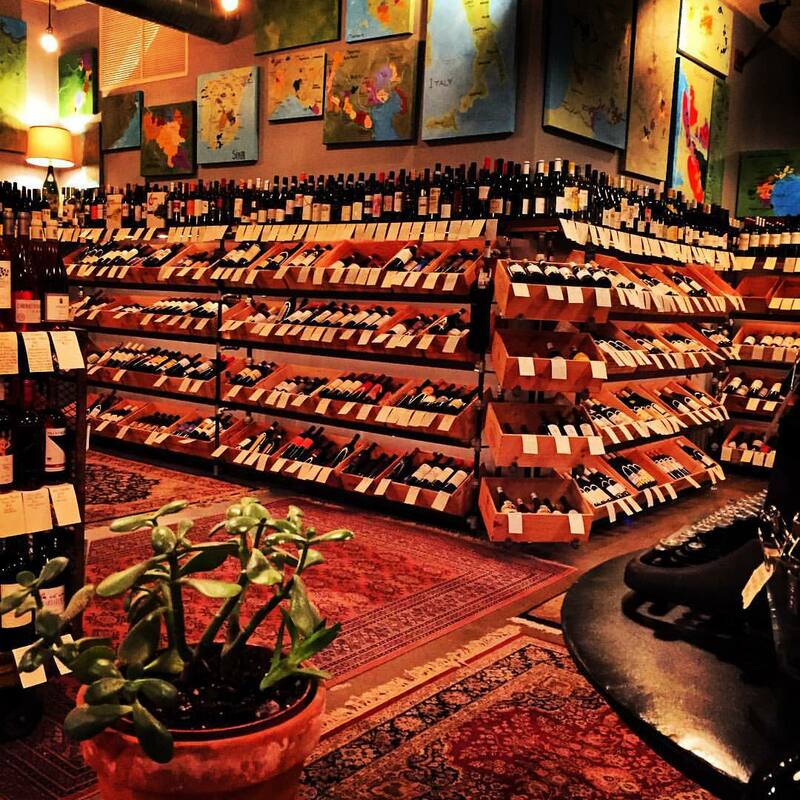 Wine Selection | Courtesy of Independent Spirits, Inc. Cookies & Carnitas is a sustainably conscious restaurant that exudes personality. Their menu offers impeccably prepared meats, such as pork belly and brisket, which are featured in sandwiches, tacos, and salads. Especially noteworthy is the goat taco, where tender morsels of meat are surrounded by house salsa, crema, and pineapple. The chefs use fresh and local farm-to-table ingredients to create their tasty concoctions. Don’t forget to try one (or five) of their old-fashioned cookies, especially the soft and chewy ‘kitchen floor,’ flavor packed with chocolate and espresso. The Metropolis Coffee Company’s philosophy emphasizes community, and their cozy, neighborhood café — located steps away from the Granville CTA stop — is instantly welcoming to all those who step inside. 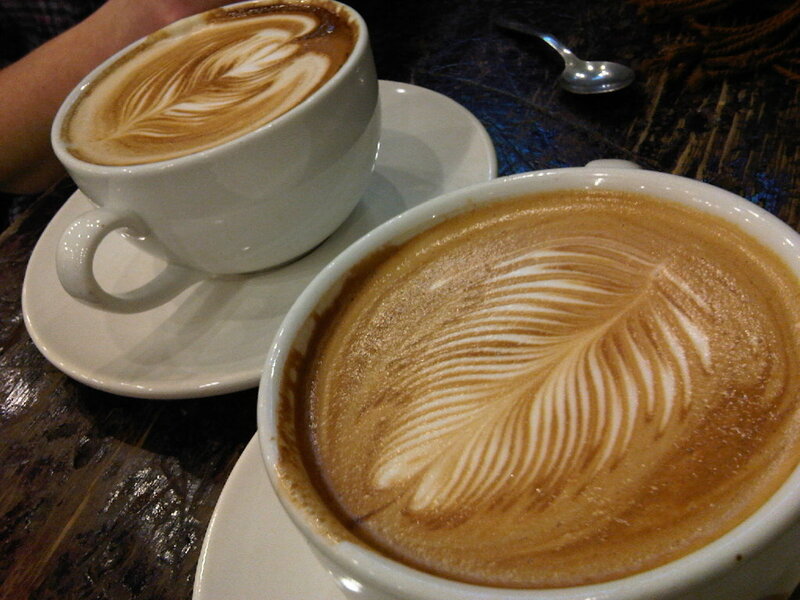 Among their organic coffee blends is a great selection of fair trade coffee sourced from places like Peru and Ethiopia. Try their signature Redline Espresso blend or the full-bodied Spice Island blend featuring Indonesian and South American coffee beans. In addition to their coffee, Metropolis offers dozens of tea varieties and enticing baked goods, and features artwork from local artists available for purchase. Free wi-fi makes this café the perfect study spot for students. If you’re looking for a fun way to spend an afternoon, be sure to stop by Chicagoland Games: Dice Dojo, a hobby store celebrating the wonderful world of gaming. The environment is extremely welcoming, where guests are encouraged to try out demo games in the store for free on one of their large, gaming tables. The store also frequently hosts numerous tournaments and events for the more seasoned hobbyist. With one of the largest selections of board games in Chicago, Dice Dojo is bound to appeal to both the casual and competitive gamer of all ages. Drop in on Wednesday nights at 6 pm for their popular free board game night. Edgewater’s ethnically diverse community is highlighted within the brightly colored walls of Ras Dashen Ethiopian Restaurant. Named after the tallest mountain in Ethiopia, Ras Dashen offers traditional Ethiopian food cooked with bold flavors and spiced to perfection. 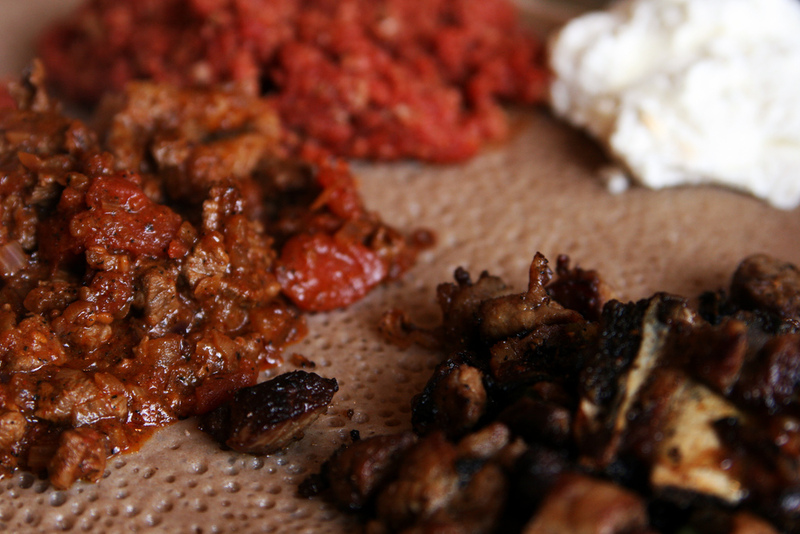 A typical meal includes the slightly tangy and spongy injera bread, which soaks up the fiery sauces that accompany a variety of meats. There are also plenty of delicious vegetarian options from which to choose. Pair the meal with a bottle of their homemade honey wine, which is addictively sweet and floral, and end the night with a cup of strong Ethiopian coffee. A community staple during the summer, The Waterfront Café is located in Berger Park and sits right on the shores of Lake Michigan, creating an atmosphere resembling a beachside barbecue. The menu includes a variety of salads, wraps, and grilled items, perfect for a picnic on their outdoor patio. Enjoy a tuna salad-stuffed avocado while listening to live music, or attend one of their themed dinner parties, which includes food and special cultural performances. Dig your toes into the warm sand, sip on a blackberry lemonade, and enjoy spectacular views of the lake on a warm summer’s day. Hailed as the largest chainmaille supply store in the world, Blue Buddha Boutique is an eclectic retail shop where you can find chainmaille jewelry, craft kits, tools, and accessories for both hobbyists and designers. Spend an afternoon browsing through hundreds of artisan handmade items, any one of which would make a wonderfully unique gift. 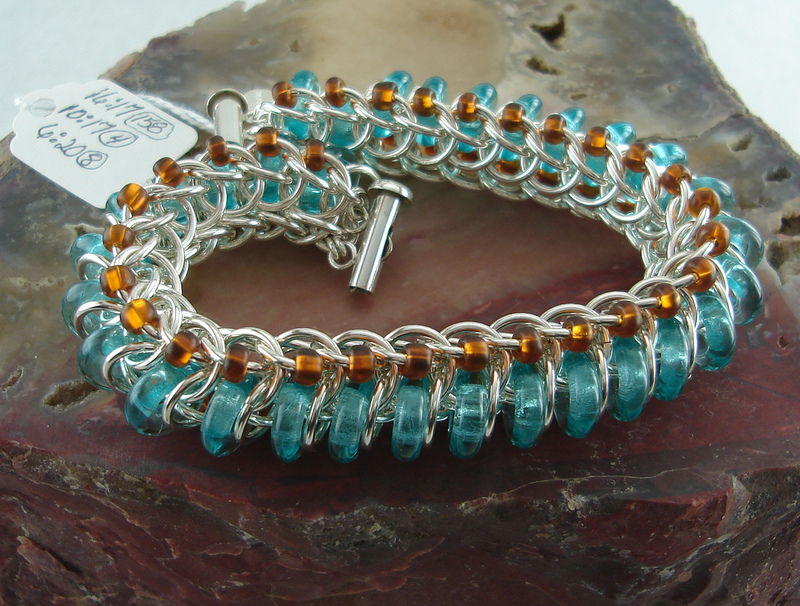 Sign up for one of their classes to learn how to make your own chainmaille accessories. Dak is a small mom-and-pop establishment on Granville Avenue serving some of the best Korean chicken wings in Chicago. The large wings come in two sauces: the tangy and sweet Dak sauce made with soy, ginger, and garlic, or the spicy BBQ sauce made with Korean red pepper paste. In addition to chicken wings, the menu offers flavorful rice bowls that come with vegetables, a fried egg, and your choice of meat. For delicious comfort food in the dead of winter, bring some friends and a bottle of your favorite beer to Dak, or take out an order of wings to eat in the comfort of your home. 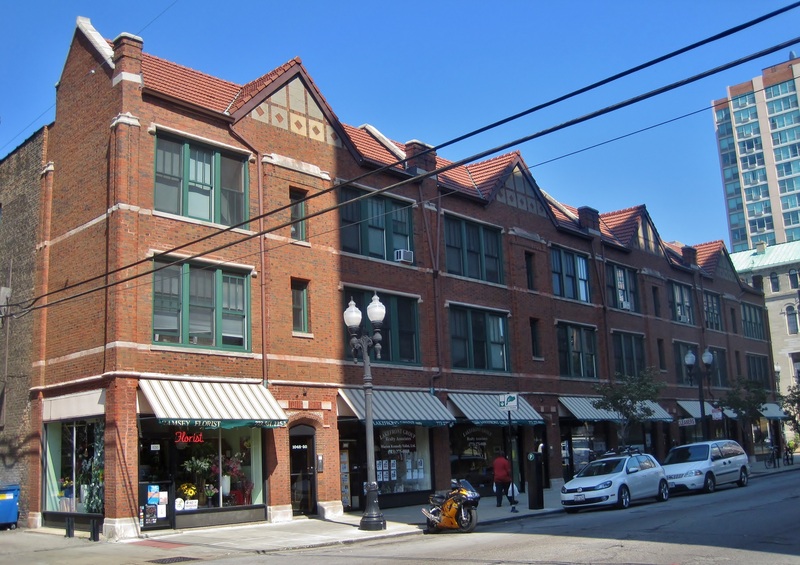 A roaring entertainment district in the 1920s, Bryn Mawr Avenue continues to be a bustling commercial and residential center in Edgewater today. Old-fashioned lampposts line the street from Sheridan to Broadway, and many buildings that decorate the avenue reflect early 20th-century architectural styles, including the Edgewater Presbyterian Church, which was built in 1926 and features ornate carvings by American sculptor Emil Zettler. Strolling through the vibrant district, you can find florists, outdoor cafés, restaurants, and theaters. Stop by Zanzibar for grilled sandwiches and locally made ice cream, browse through handcrafted artwork at African Safari Imports, and then catch a literary production at City Lit Theater. With two cozy stages located on the corner of Clark and Granville, Raven Theatre is a must for anyone who enjoys lively storytelling and energetic performances. Established in 1983, the award-winning theatre company focuses on classic American productions, such as A Few Good Men and Death of a Salesman, while including contemporary pieces that highlight intimate modern life experiences. As a vital part of the community, Raven Theatre offers classes and camps for children and regularly partners with local schools and community organizations to provide professional theatre skills.